With polls suggesting California voters are ready to scrap fuel tax hikes approved by the state Legislature last year at his behest, Gov. Jerry Brown may be forced to spend his final months in office raising funds to bolster his $15 million campaign war chest to try to protect what he sees as a key legacy. Surveys over the winter showed state voters were evenly split – within the margin of error. But a USC-Los Angeles Times poll posted last week showed 51 percent were opposed to the tax, 38 percent were in favor, and 11 percent had no opinion or didn’t expect to vote on the measure. What’s changed? Fuel prices in California. They were relatively stable and low throughout 2017, dropping to an average of $2.93 per gallon of unleaded gasoline last July, according to AAA. But as of Tuesday, AAA reported the state average for a gallon of unleaded gas was $3.74 per gallon – a 28 percent increase in less than 11 months, with most of the jump this year. 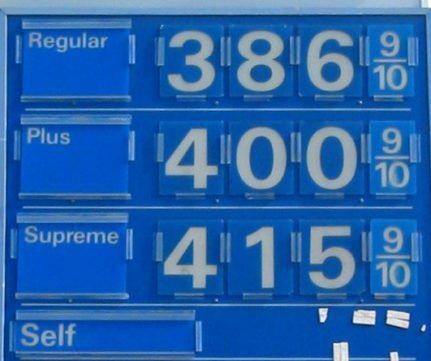 A Politico story Monday said geopolitical trends made it likely that gas prices would continue to rise nationally and noted Democrats were eager to use the issue to hammer President Donald Trump and Republican congressional incumbents. That dynamic may not work in California. Brown and Democrats had support of some GOP lawmakers and business groups, but the push for Senate Bill 1 was mostly a one-party affair. It was billed as a way to address badly needed road and infrastructure improvements by raising $52 billion over 10 years. The law added 12 cents per gallon to gasoline taxes and 20 cents per gallon to diesel taxes. It also increased vehicle registration fees by $25 to $175 and for the first imposed a $100 additional fee on the vehicle registration of electric vehicle owners, with the EV fee taking effect in 2020. The November 2018 gas tax repeal is only the latest chapter in decades of ballot fights over taxes in California, most notably the 1978 approval of Proposition 13, which capped annual property tax increases and made it more difficult to increase or add other taxes. But the Golden State’s reputation as the birthplace and home of the national anti-tax movement was shaken in 2012 and again in 2016 when state voters approved raising income taxes on the very wealthy, with future sunset dates on the tax hikes. Some of these voters may not be as enthusiastic about increasing regressive taxes like those on fuel. Signature gatherers said they found it relatively easy to gather the 900,000 signatures turned in to state officials last month, far more than the 585,000 they needed to qualify the measure for the November ballot. The effort was galvanized by conservative talk-radio hosts, particularly KFI 640 AM’s John and Ken in the Los Angeles region. The ballot measure has been avidly embraced by the leading GOP candidates in the governor’s race – Rancho Santa Fe businessman John Cox and Huntington Beach Assemblyman Travis Allen. Congressional Republican officials have also latched on to the idea that having the gas tax repeal on the November ballot may improve the chances of the GOP holding seven California House seats targeted in November by the national Democratic Party and House Minority Leader Nancy Pelosi, D-San Francisco. Supporters of the gas tax hike also have another tack. They are increasingly emphasizing what transportation projects are in the works at least partly because of the additional funding SB1 provides. In late April, the state announced that $4.3 billion of rail and bus service improvements would be part of the first wave of projects.